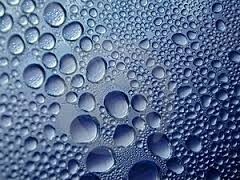 Condensation is the process in which a gas cools and becomes a liquid. In this case, condensation is when humid air comes in contact with a cold surface, forming water droplets. 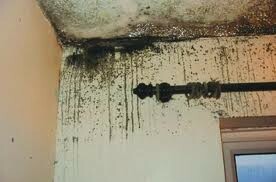 Condensation is a problem that occurs in millions of homes. It can damage walls, ceilings, window frames, and even clothing. 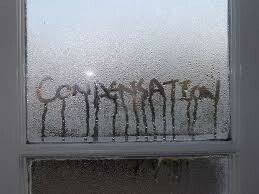 Condensation is caused by doing everyday activities, such as showering, cooking, or washing. If not prevented or treated, it can cause black molds to form and later cause respiratory problems for those living in homes that are very damp. You can prevent condensation in your own home by reducing moisture production. Another way of preventing it is by making sure your home is ventilated, properly. If your house is not ventilated, moist air will not be able to escape, but if there is too much ventilation going on, your home will be exposed to a lot of cold air so you must get a balance. Since a lot of condensation occurs mostly in the kitchen and bathrooms, extractor fans are built in some homes so that it removes stale air. Opening windows while cooking helps as well as keeping the lids on a sauce pan. A third way of preventing condensation is by heating your homes. Condensation is usually a problem in a home that is not heated properly. This can be solved by using a heating system. What do I do if my home has been affected? If your home has been affected, you can remove the mold with a fungicide solution or bleach. Once you have cleaned the area with the mold, you can repaint it with fungicidal paint or cover it with a special wallpaper paste if you have wallpaper. If you don’t try and treat the condensation problem, the mold will return. You can reduce the risk of it returning by making sure that the cold surfaces such as mirrors, cold corners of a wall, cabinets, are not in contact with water as it will cause condensation.